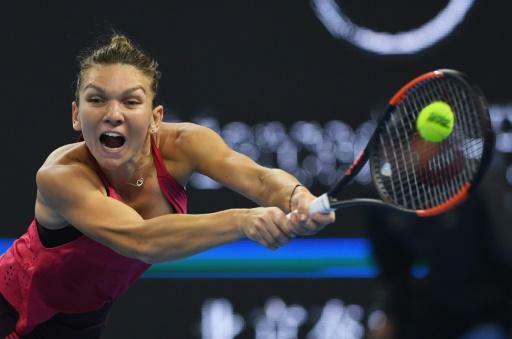 BEIJING - Simona Halep admitted she was too excited to sleep after surging to number one in the world and said it affected her performance Sunday when she lost the China Open final. The 26-year-old was beaten by France's Caroline Garcia 6-4, 7-6 (7/3), a day after Halep ousted Garbine Muguruza as the top-ranked woman by reaching the Beijing final. Halep will be confirmed on Monday as the first Romanian to top the WTA rankings. She refused to let her defeat in the final spoil her week and admitted it had been an emotional 24 hours, during which the tennis community united to congratulate her. "I couldn't sleep very well," she said. "In the morning, I was like, okay, now I have to focus again, to go on court and work, which I did. "It was very good (getting to the top ranking). It was a very good step, important step. But still inside I was too happy." She added: "Was too much yesterday. My body was just sore after yesterday's match. "Even if was not three sets or something like that, I just felt a little bit over inside because of the happiness." Halep, who says her next goal is a maiden Grand Slam, knows she will now be a target for the rest of the women's circuit to beat. "Like I am always when I play against number one in the world, I always want to win," she said, refusing to be downcast about her defeat to the on-form Garcia. Simona Halep admitted she was too excited to sleep after surging to number one in the world and said it affected her performance Sunday when she lost the China Open final.